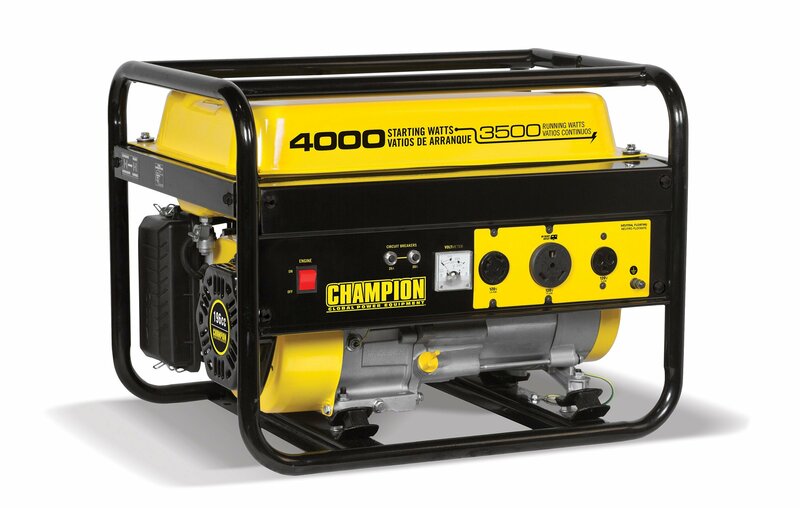 The Champion Power Equipment 46596 RV Ready 3500-Watt Portable Generator is designed with your safety and convenience in mind. 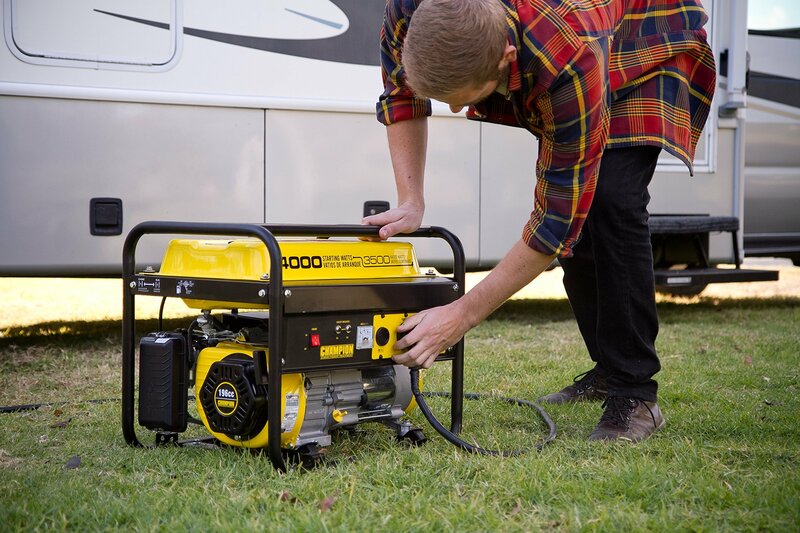 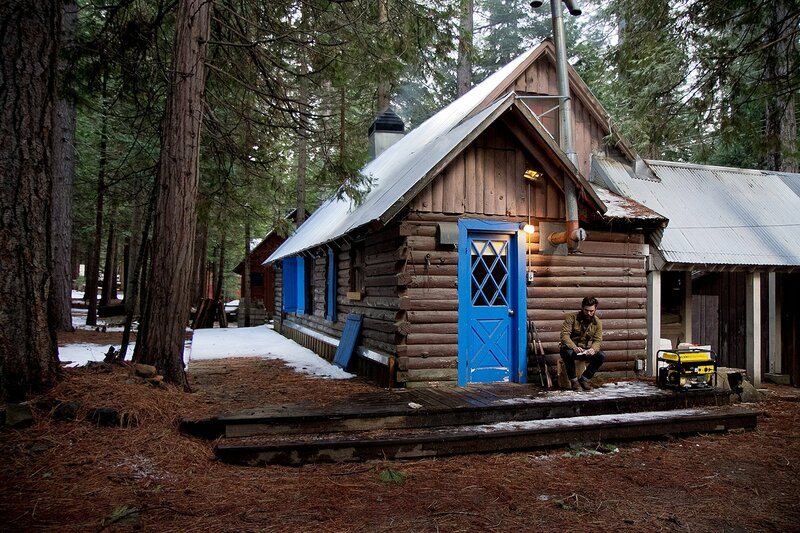 For your RV, you’ll have enough power to start and run a 15,000 BTU RV air conditioner. 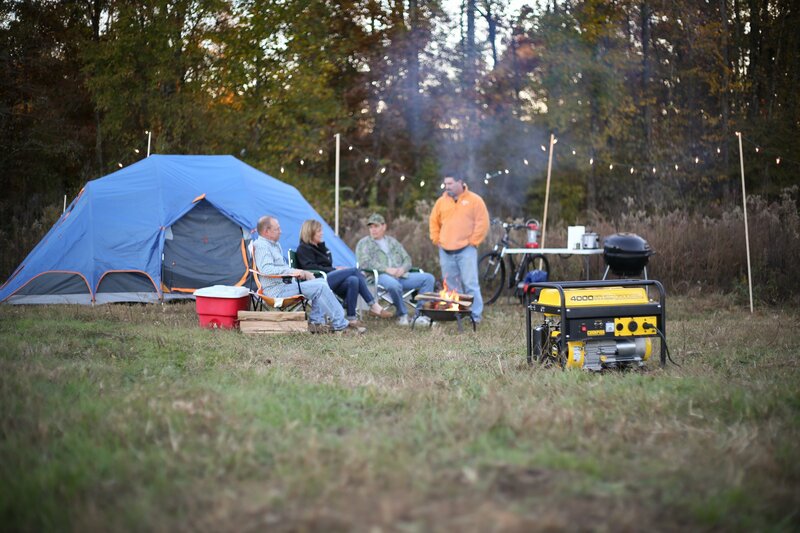 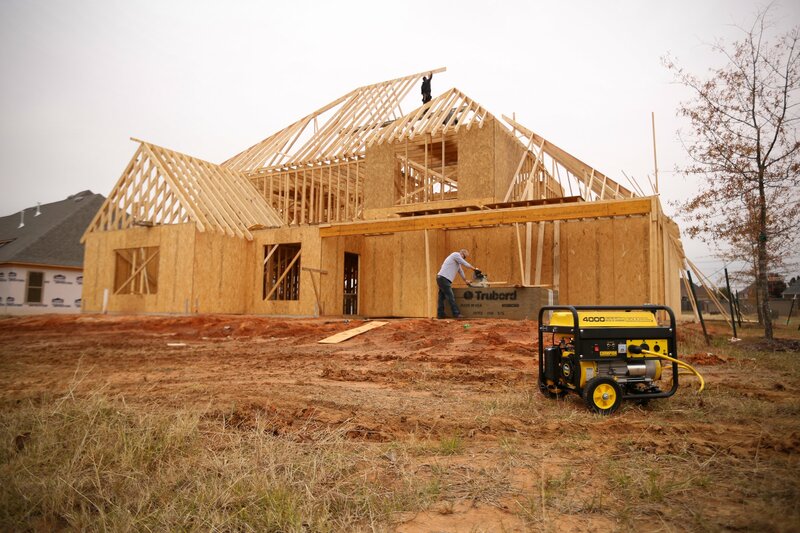 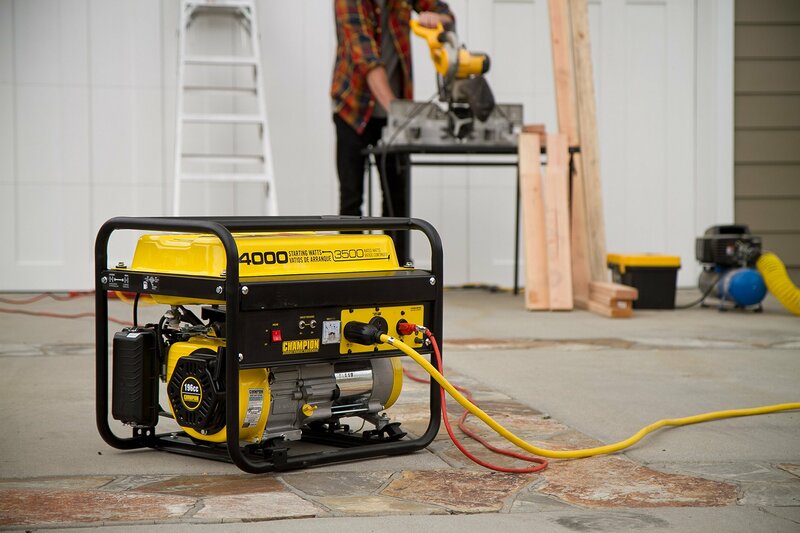 The next time there’s an outage, the 196cc Champion single-cylinder OHV engine will provide the power you need to back up your home essentials. 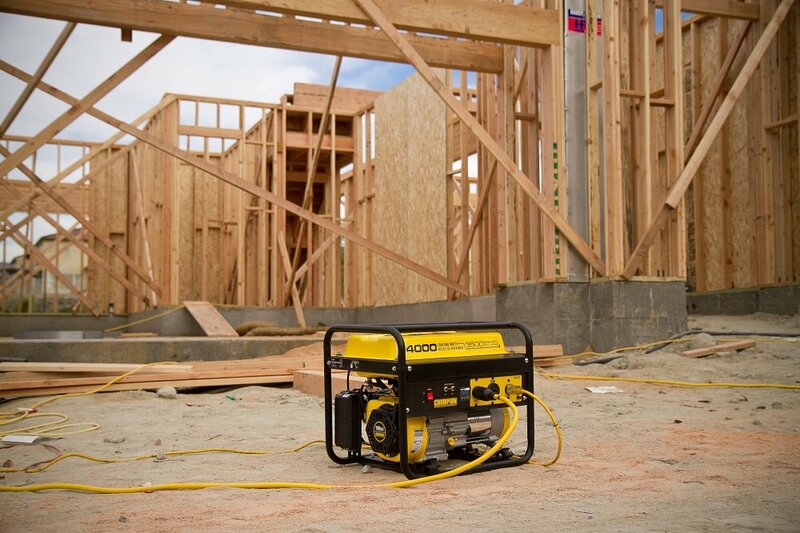 Champion’s Cold Start Technology ensures a quick start in cold weather, the Volt Guard built-in surge protector prevents overloads and keeps your equipment safe from spikes in voltage and the voltmeter allows you to easily monitor power output anytime. 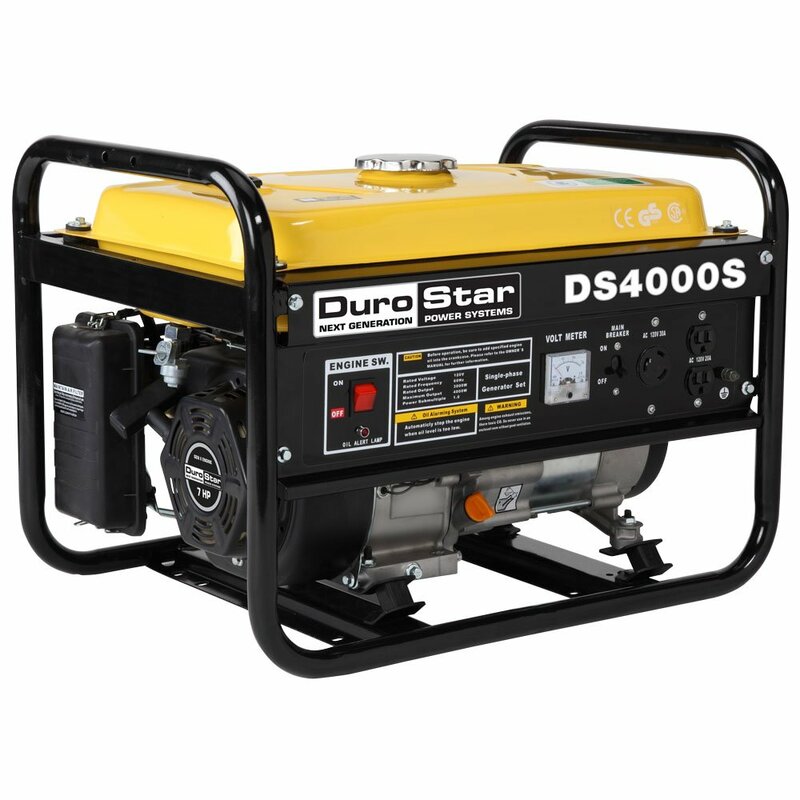 At 4000 starting watts and 3500 running watts, this rugged generator with its durable steel frame can take care of your essentials during an outage – lights, sump pump, refrigerator, modem/router, fan and TV/DVD. 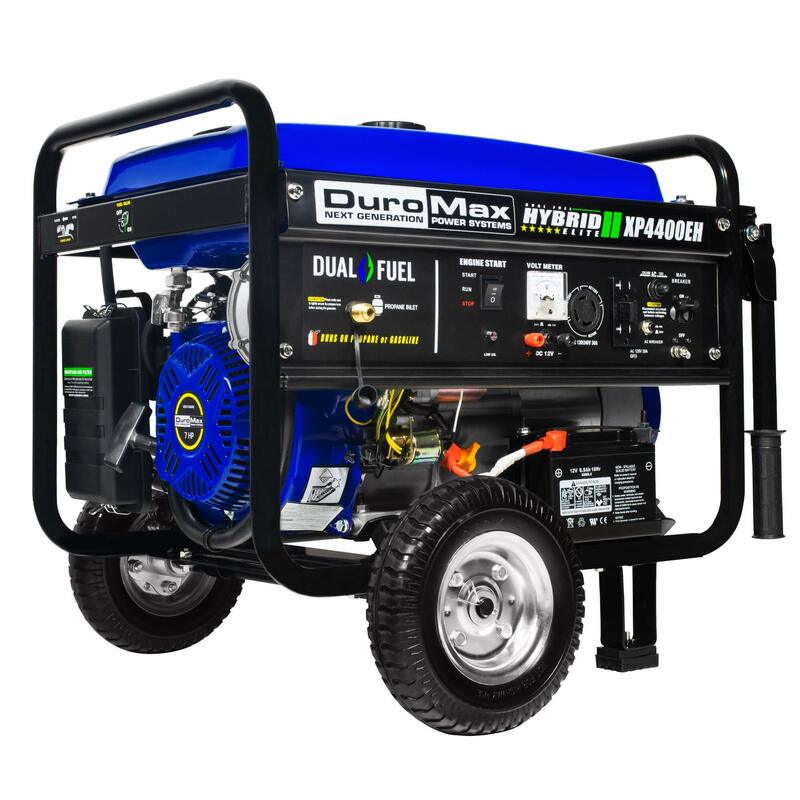 Available outlets include a 120V 30A locking outlet (L5-30R), a 120V 30A RV outlet (TT-30R) and a 120V 20A household outlet (5-20R). 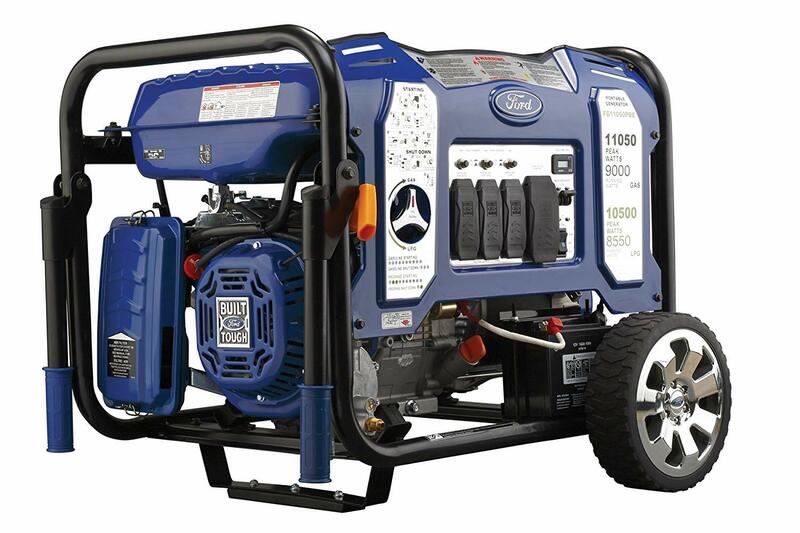 Fill up the 3.8-gallon tank of gasoline and enjoy up to 12 hours of power at 50% load. 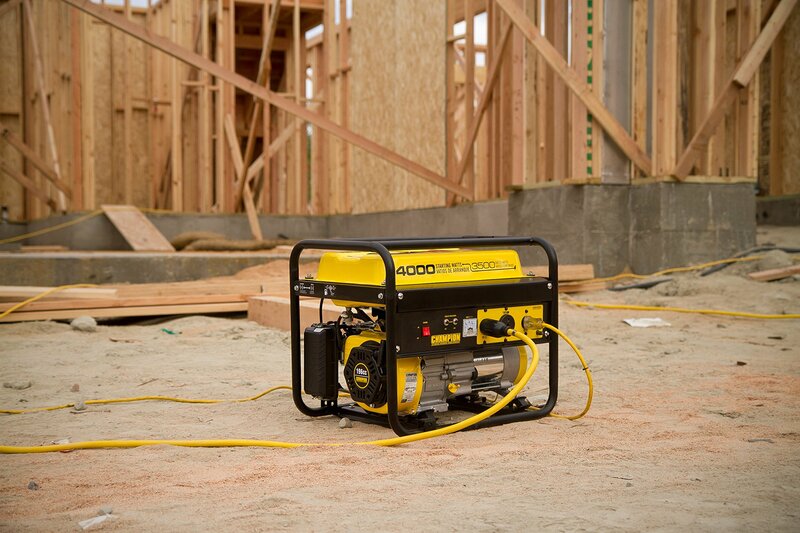 From 23 feet, the noise level is 68 dBA, about as loud as a vacuum cleaner. 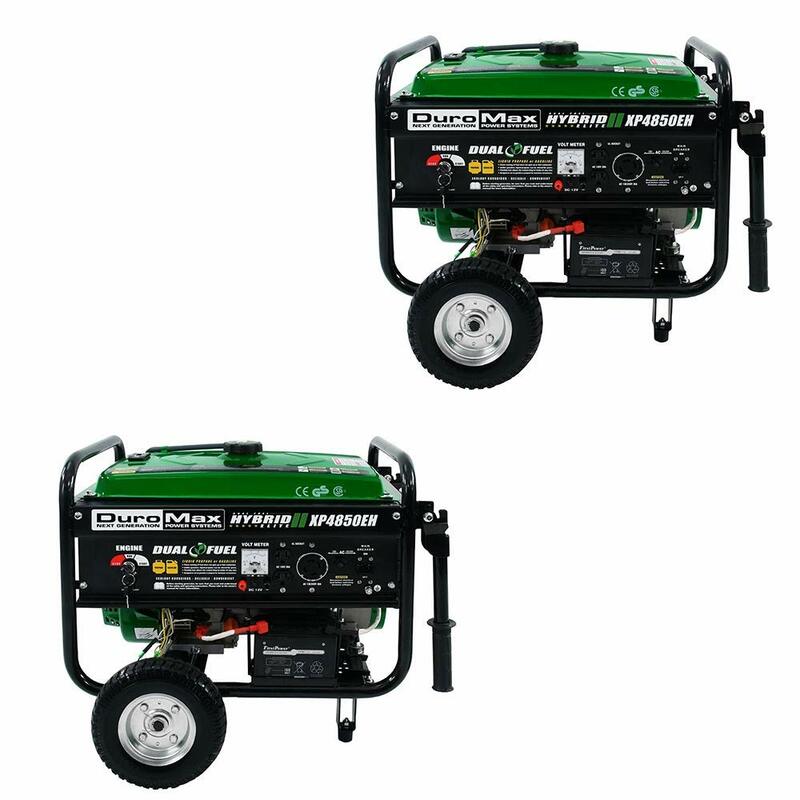 Designed for safety with convenient push-to-reset circuit breakers and a low oil shut-off sensor, this unit has a 0.6-quart oil capacity (recommended 10W-30) and comes with an oil funnel for easy changes. 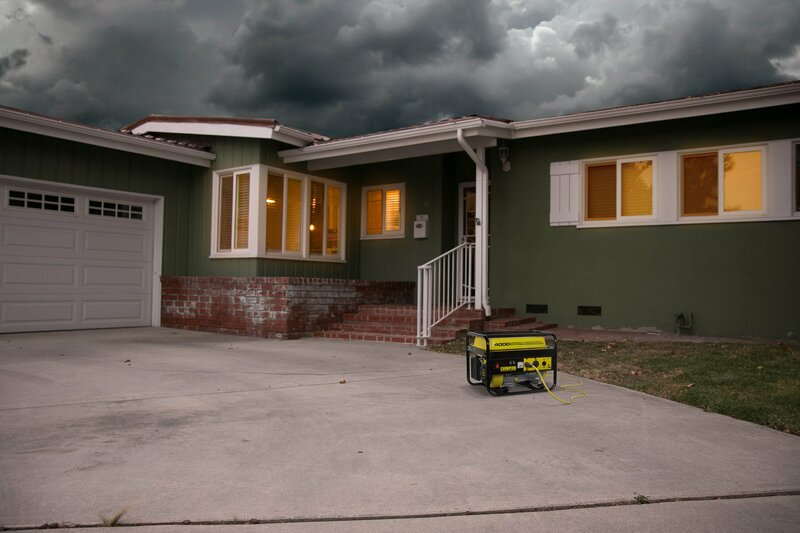 Buy this 49-state EPA certified generator with confidence (this generator is not available for sale in California) – Champion Support and our nationwide network of service centers will back your purchase up with a 3-year limited warranty and FREE lifetime technical support.